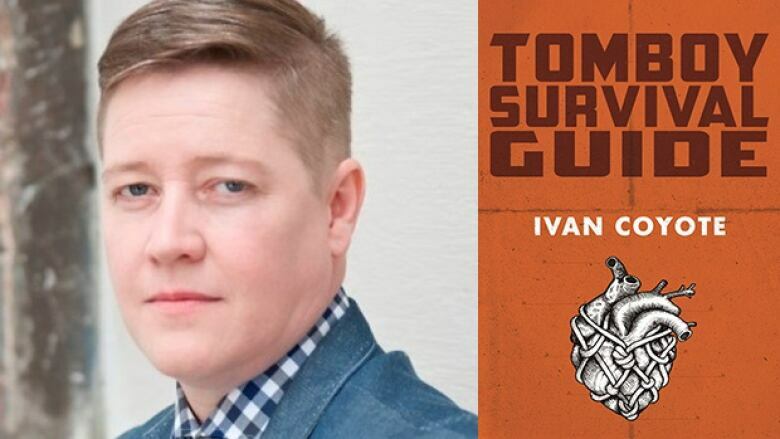 Ivan Coyote's 11th book Tomboy Survival Guide is a finalist for the Hilary Weston Writers' Trust Prize for Nonfiction. Ivan Coyote's Tomboy Survival Guide is an emotional collection of poignant stories and coming-of-age memories in Yukon and B.C. The book was a finalist for the prestigious Hilary Weston Writers' Trust Prize for Nonfiction, an annual $60,000 award recognizing the best in Canadian nonfiction writing. Below, the seasoned raconteur tells us about how they wrote Tomboy Survival Guide. "I do this kind of rock-pile idea. I did that with this project. I made big, long lists of every vignette and idea and topic that I wanted to address. I would go to that list when I sat down to write and I'd pick out the one that jumped out the most at me. I made my way slowly through the list. At the same time, I was always working on the tiny, short bits; I call them literary Doritos. I've been informed that they're called prose poems, but that title doesn't resonate with me. I've been working on them for a few years now. "I see it as though you're building a stone fence. You go and come back with one rock and put it down. You go back and get another rock and put it down. You get a pile of rocks and then you start to build the fence. Once the fence starts to take shape you decide, 'Oh I need a little stone here. I need a little mortar here.'" "When I have a deadline, I do those lists and then I have 1,000-word days. I have an imaginary calendar with imaginary gold stars. They don't have to be 1,000 perfect words. But I make a commitment on a writing day that it's going to be 1,000 words and I just force myself to sit there until it happens. Often, what will happen is that I'll get on a roll, especially after I've done it for three, four or five days in row. Then a 1,000-word day will turn into a 3,000-word day." "I write at my kitchen table. I like to have the TV or the radio on, turned down low to something that's vaguely interesting but not too distracting, just some white noise in the background. Cooking a soup or stew or stock or roasting something in the oven is definitely one [of my rituals]. I like having that domestic vibe going on. I have to clean the house first. I just can't get anything done in a messy house so usually a good writing bout is preceded by establishing some kind of peace and order. Sometimes you see those things like 'A creative mind is a messy desk.' Not this creative mind." "I never really feel finished. I've never experienced a feeling of closure or 'The End.' If you talk to the guy who edited Tomboy Survival Guide, I was constantly tweaking it. If you can find a typo in that book, I will buy you the beverage of your choice because I went through that thing on my phone in airports six or seven times. I noticed that there were page numbers in the centre when previously according to the format they had been in the bottom right corner. "I never really felt finished with it. I felt like I had to let it go and let it turn into a galley and then let it go and let it turn into a finished copy. That book meant a lot to me. I talked about some really difficult things, both topic-wise and from an emotional standpoint and I wanted to be as close to good as I could make it. It was more me trying to make sure that it was as close to what I actually felt about everything in perfect words." Ivan Coyote's comments have been edited and condensed.